Plumbing is notoriously expensive, and plumbers charge a boatload of money just to come out to your house to check to see if you have a problem. However, these problems will happen to you regardless, and it’s important to remember that there are, in fact, ways to save money on plumbing and even to prevent the need for plumbers to come out to your house. Emergencies do happen, however, and calling a plumber will be necessary. But you can certainly prevent these things from happening by following these easy steps. The best way to save money on plumbing is to prevent the need for a plumber altogether. As stated before, plumbing is a very expensive task, and the need for a plumber should be avoided at all costs. Remember that if you see a small problem, such as a leak, don’t wait to get it fixed. Jump on it right away in order to make sure it doesn’t get much worse without you knowing it. Furthermore, look at your drains to make sure there aren’t buildups of anything, such as grease or food. These buildups can cause problems over time, and it’s best to tackle them head-on and get rid of them before they get much worse. You could also get a maintenance contract with a plumbing company you trust so that regular maintenance is performed on your home, spreading out the money you will spend instead of making you spend it on an emergency should one arise. If regular repairs become a routine in your home, consider replacing the parts that need replacement. Replacement is often a much cheaper ask than constant repairs, so don’t forget that parts and components can very easily be replaced. Often, you can replace them yourself with a little know-how and some checking on YouTube. The point is, replacement tends to be cheaper in the long run than constant repairs, so don’t sleep on the possibility of just replacing a faulty part. Plumbing is a competitive business, and many different companies offer different services at differing prices. Make sure you do your own research in order to compare prices and find the right plumber for you. 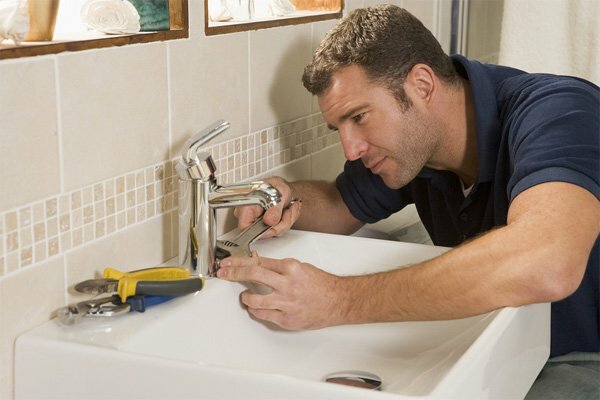 There are many factors that go into making a plumber the ideal one for you. Take into consideration the kinds of services offered by the plumber in question, the price of these services, as well as the ratings and reviews of the plumber’s services. Combine these factors in order to make an informed decision on who will be tackling your plumbing work. There are many steps that you can take to reduce plumbing costs, from replacing parts instead of repairing them all the time to simply doing your own research before hiring a plumber. Take these smart steps, as well as doing preventative maintenance on your home’s plumbing system, and you’ll have a fatter wallet because of it.